I'm a freelance Game Designer, Script Editor and QA Tester with years of experience working with some of the most creative minds in the industry. I am always on the lookout for new opportunities so please feel free to get in touch if I can be of any assistance to your project. Ready to turn an idea into a reality or just need some assistance finishing your masterpiece? I specialize in scripting, implementation and narrative design. Offering a range of technical game design solutions tailored to meet the needs of your game and vision. I provide a range of script editing services to suit your needs. Whether you need someone to help develop your script and narrative or simply to provide feedback on a pre-existing script. With many years of proven QA experience behind me, I offer a range of QA services to suit your needs. Console(Nintendo Switch, Xbox One, Playstation 4). I take QA very seriously and believe that the end result always relies upon good QA. No project is too big or small, please get in touch and we can discuss a solution tailored to you. "Rob came straight to Revolution from University in 2009 and brought expertise in many areas, which he applied most recently as a designer/scripter on 'Broken Sword 5'. Always positive, always happy to take on any tasks thrown at him, Rob has been a pleasure to have as a key member of the team." "In short: great communication, diligent worker, and technically skilled! Rob is an extremely hard-working reliable colleague who shifted an inordinate amount of work under tight deadlines. He is a true pleasure to work with - fun, friendly, and happy to help in a pinch. His technical knowledge and flexibility is a real asset in a small team. Rob helped in a variety of areas: Photoshop, scripting, production, testing, and suggested some ace upgrades for our engine and tools. He's got great attention to detail and offers great insights - often unexpectedly! I would love to work with Rob again in the future and wouldn't hesitate to recommend him to anyone, in any work environment, but especially in games." "Robert is hard working with an eye for detail and quality. I'd certainly recommend him, and look forward to working with Robert again on our future projects. Meanwhile, he'd make an excellent addition to any design / implementation team." "Robert's skills as a game designer really flourished in the two years I worked with him on the adventure game Broken Sword 5: The Serpents Curse. His technical knowledge has always been outstanding, ably demonstrating a deep understanding of tools, techniques and processes required to making games, especially critical in small teams where everyone needs a wide spectrum of skills. What impressed me even more was the development of his creative game design skills over those two years, going from a technically accomplished fan of the genre to someone able to think deeply and abstractly about what makes a game tick, and effectively communicate those ideas within the team." "Robert has done an amazing job doing QA on Middle Manager of Justice. He was thorough, professional, and very detail oriented. He was very good at finding hard to find bugs and communicating easy to follow repro steps. Even though he worked offsite, I was impressed by his quick responses and bug reports that were very detailed and professional. I highly recommend him as a QA tester." "While working at Double Fine, I had the opportunity to meet and work with Robert. I found that he was extremely thorough and had a great work ethic. He went above and beyond with everything that I tasked him with. I highly recommend having Robert as a part of any QA group." "Robert was on our team for two mobile games, The Big Big Castle and Scurvy Scallywags. Both games were well received and had consistently positive reviews. This was in no small part due to Robert's contributions. As a tester he consistently provided quality ideas and had uncanny instincts for _exactly_ how to break our game. Robert also demonstrated keen design skills with his feedback on our overall game flow and tuning. On Scurvy Scallywags Robert's contributions expanded to include some writing tasks and mission briefings. The best praise I can give here is to say that Robert's creative contributions passed muster with iconic adventure game designer Ron Gilbert, which I can say from experience is no easy task. Robert did a great job of picking up on the tone and style of the game's humor. I've hired Robert for two projects now and I would certainly do so again." "Robert helped test several of our apps, always finding bugs/issues that no one else had discovered. He's very thorough, and was able to write up descriptions that helped us duplicate the problems and correct them. He's always enthusiastic, personable, and a joy to work with." "Robert Megone is a dedicated and diligent team player. During the production of SkyGoblin's adventure game series "The Journey Down", Robert has provided invaluable assistance and professional feedback throughout the design and QA phases. He stands out because of his meticulous, quality oriented and extremely thorough work. Robert Megone would be a valuable asset to any team, and I wholeheartedly recommend him in light of the valuable contributions he has made to ours." "When it comes to QA, Robert is and will probably always be my number one choice. He's fast, thorough, dedicated, humble, and perhaps most importantly, fun to work with." "We have for some reason always contacted Robert when its time for some serious QA testing. Robert has a good knowledge about game engines and game design. We are more than satisfied with his input and feedback." "Robert very quickly became an invaluable part of the team. I hadn't realised how much I needed a tester until Robert started work. He almost instantly saved me tons of time by tracking down bugs and writing up very thorough steps to reproduce. At times he spent hours successfully tracking down elusive bugs I asked him to find. At other times, he took the initiative to aspects of the game I had neglected. Robert's dedication to the job was amazing. He went above and beyond what was required. I always knew that testers were important, but thought that for a small team they would take up more time managing them than was worth the benefit. Robert proved me completely wrong. He was quick and efficient, needed very little direction and saved me literally hours of my time. It meant I could concentrate on making the game and fixing bugs without worrying about how to reproduce the bugs. Robert also enabled me to feel more confident that I was launching a game that wasn't completely riddled with bugs. If I had it over again, I would hire Robert much earlier in development. Still, I am confident that he would be a massive asset to any development team at any point in a project." "Robert's testing for my little game Shadowess was invaluable, he was always very concise and to the point his feedback, making the problem really easy to understand for me as a developer. His testing was very throughly, accurate, detailed and quick in responses. It was also obvious that he had a good understanding for games as he could sometimes humbly suggest good solutions to game mechanic problems. Honestly, Robert is the first person I will contact to get feedback on my next project." "Rob's work on Duke Grabowski has been outstanding. He has a deep understanding of the adventure game genre, terrific attention to detail, good humor, and patience. There is no way we would've gotten this far without him. I hope to work with him -- or for him -- in the future." "Robert was a great addition to our small core team for testing and translation. He provided very efficient bug reports on short time scales. His down-to-the-point comments improved not just the English version but the overall polish of the game including its logic as well. I highly appreciated his attentive suggestions and above all his zeal for the project! Thanks alot and we hope to stay in contact." "We contacted Robert nearing the end of Kelvin and the Infamous Machine's development, and we couldn't have done best. He is an extremely hard and thorough worker, who knows the gaming design process by heart. His concise and detailed feedback were the necessary tools to get the best of our soon to be finished game. We hope he will be willing to work with us in future, and we sincerely recommend him as a key part for every team no matter how big or small." "Robert came in near the end of development for QA on our latest game, and our only regret was that we didn't hire him sooner. He was extremely thorough, responsive, and, best of all, really cared about the game itself. At a point in development where we had so little time, it was a relief to be able to rely on his testing, and it's thanks to him that we had such a stable release. We loved working with Robert and hope to do so on future projects as well!" "Rob came straight to Revolution from University in 2009 and brought expertise in many areas, which he applied most recently as a designer/scripter on 'Broken Sword 5'. Always positive, always happy to take on any tasks thrown at him, Rob has been a pleasure to have as a key member of the team." "In short: great communication, diligent worker, and technically skilled! Rob is an extremely hard-working reliable colleague who shifted an inordinate amount of work under tight deadlines. He is a true pleasure to work with - fun, friendly, and happy to help in a pinch. His technical knowledge and flexibility is a real asset in a small team. Rob helped in a variety of areas: Photoshop, scripting, production, testing, and suggested some ace upgrades for our engine and tools. He's got great attention to detail and offers great insights - often unexpectedly! I would love to work with Rob again in the future and wouldn't hesitate to recommend him to anyone, in any work environment, but especially in games." "Robert is hard working with an eye for detail and quality. I'd certainly recommend him, and look forward to working with Robert again on our future projects. Meanwhile, he'd make an excellent addition to any design / implementation team." "Robert's skills as a game designer really flourished in the two years I worked with him on the adventure game Broken Sword 5: The Serpents Curse. His technical knowledge has always been outstanding, ably demonstrating a deep understanding of tools, techniques and processes required to making games, especially critical in small teams where everyone needs a wide spectrum of skills. What impressed me even more was the development of his creative game design skills over those two years, going from a technically accomplished fan of the genre to someone able to think deeply and abstractly about what makes a game tick, and effectively communicate those ideas within the team." "Robert has done an amazing job doing QA on Middle Manager of Justice. He was thorough, professional, and very detail oriented. He was very good at finding hard to find bugs and communicating easy to follow repro steps. Even though he worked offsite, I was impressed by his quick responses and bug reports that were very detailed and professional. I highly recommend him as a QA tester." "While working at Double Fine, I had the opportunity to meet and work with Robert. I found that he was extremely thorough and had a great work ethic. He went above and beyond with everything that I tasked him with. I highly recommend having Robert as a part of any QA group. " "Robert was on our team for two mobile games, The Big Big Castle and Scurvy Scallywags. Both games were well received and had consistently positive reviews. This was in no small part due to Robert's contributions. As a tester he consistently provided quality ideas and had uncanny instincts for _exactly_ how to break our game. Robert also demonstrated keen design skills with his feedback on our overall game flow and tuning. On Scurvy Scallywags Robert's contributions expanded to include some writing tasks and mission briefings. The best praise I can give here is to say that Robert's creative contributions passed muster with iconic adventure game designer Ron Gilbert, which I can say from experience is no easy task. Robert did a great job of picking up on the tone and style of the game's humor. I've hired Robert for two projects now and I would certainly do so again." "Robert helped test several of our apps, always finding bugs/issues that no one else had discovered. He's very thorough, and was able to write up descriptions that helped us duplicate the problems and correct them. He's always enthusiastic, personable, and a joy to work with." "Robert Megone is a dedicated and diligent team player. During the production of SkyGoblin's adventure game series "The Journey Down", Robert has provided invaluable assistance and professional feedback throughout the design and QA phases. He stands out because of his meticulous, quality oriented and extremely thorough work. Robert Megone would be a valuable asset to any team, and I wholeheartedly recommend him in light of the valuable contributions he has made to ours." "When it comes to QA, Robert is and will probably always be my number one choice. He's fast, thorough, dedicated, humble, and perhaps most importantly, fun to work with." "We have for some reason always contacted Robert when its time for some serious QA testing. Robert have a good knowledge about game engines and game design. We are more than satisfied with his input and feedback." "Robert very quickly became an invaluable part of the team. I hadn't realised how much I needed a tester until Robert started work. He almost instantly saved me tons of time by tracking down bugs and writing up very thorough steps to reproduce. At times he spent hours successfully tracking down elusive bugs I asked him to find. At other times, he took the initiative to aspects of the game I had neglected. Robert's dedication to the job was amazing. He went above and beyond what was required. I always knew that testers were important, but thought that for a small team they would take up more time managing them than was worth the benefit. Robert proved me completely wrong. He was quick and efficient, needed very little direction and saved me literally hours of my time. It meant I could concentrate on making the game and fixing bugs without worrying about how to reproduce the bugs. Robert also enabled me to feel more confident that I was launching a game that wasn't completely riddled with bugs. If I had it over again, I would hire Robert much earlier in development. Still, I am confident that he would be a massive asset to any development team at any point in a project." 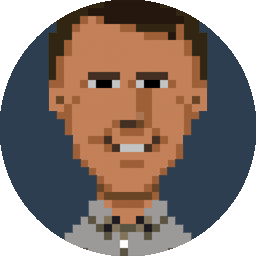 "Roberts testing for my little game Shadowess was invaluable, he was always very concise and to the point his feedback, making the problem really easy to understand for me as a developer. His testing was very throughly, accurate, detailed and quick in responses. It was also obvious that he had a good understanding for games as he could sometimes humbly suggested good solutions to game mechanic problems. Honestly, Robert is the first person I will contact to get feedback on my next project."